Vanguard’s Tokyo pouches are brilliant by design! Not only in their striking appearance but also in their practicality and build quality, these little pouches stand out in a crowd. Designed for the compact camera user on the move the cases feature a double Velcro belt loop, detachable shoulder strap and has internal storage pockets for memory cards and batteries. 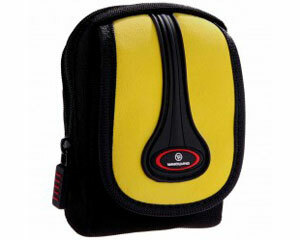 The interior is made of brush nylon to cushion and protect your precious camera. Go on be bold – buy a Tokyo and live it large!